Adults looking to boost their career prospects still have time to apply to ‘outstanding’ Nelson and Colne College’s University Centre. The College will be holding a University Centre Open Event on Thursday 18 January from 5.30pm until 7.30pm, where people can discover more about a wide range of high quality Higher Education courses offered flexibly, locally and without the expense of university. Companies looking to upskill workforces are also welcome to attend to find out more about how Nelson and Colne College can help. Expert tutors will be on hand to speak to about the courses available, and there will also be the chance to view NCC’s first-class facilities, find out about finance options and loans, explore course progression and career options and discover the links the College has established with universities and industry. Currently, those interested in a HNC in Business qualification beginning in February still have time to enrol. The course is designed to help you develop as a professional, and to give you the skills and knowledge needed to get ahead in the business world. Study will consist of a wide range of Business topics, to give you a broad understanding of how businesses operate and develop in a dynamic marketplace. February starts are also available for Engineering HNC and HND qualifications. Higher National Certificates/Diplomas are widely recognised for professional development and career progression, and not only can an HNC/D help you climb the career ladder quicker and improve your job prospects, it is a well cited statistic that graduates can expect to earn £100,000+ more over their lifetimes than someone who didn’t go to university. The University Centre’s offer is expanding from September 2018, and planned courses include Foundation Degrees in Criminology and Criminal Justice, Paralegal Services and Teaching and Learning Support as well as the Certificate in Education/Professional Graduate Certificate in Education (Cert Ed/PGCE). HNC/Ds are also on offer in Applied Science, Business, Computing, Engineering, Healthcare Practice and Social and Community Work, and much more. And for those not quite ready to go straight into Higher Education, an Access to Health Professions is available in September aimed at learners aged 19+ wanting to return to education and who are keen to progress to university and enter in to careers within the Nursing/Health sector. 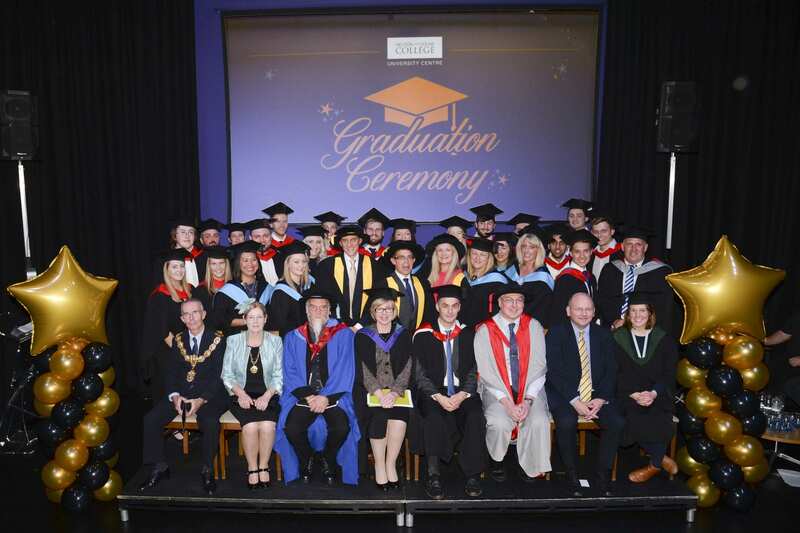 NCC’s Director of Higher Education Steve Wright said: “We have already seen hundreds of learners successfully achieving valuable and sought-after Higher Education qualifications through the University Centre here at Nelson and Colne College as they pursue career progression and develop both personally and professionally. “Next week’s Open Event is the latest opportunity for those seeking a similar outcome to drop-in and find out about the wide variety of university level qualifications that we offer flexibly, affordably and locally.